The Governor also unveiled a website to showcase our Olympic heroes and inform Illinois residents where they can partake in winter sports activities. “We celebrate the Olympic athletes from across Illinois who are at the pinnacle of success, and we salute their coaches, families and friends for all the sacrifices they’ve made to support them,” Governor Quinn said. There are 10 Blackhawks hitting the ice in Sochi, playing for five different nations, including Patrick Kane on Team USA. Kane was part of the silver medal-winning 2010 Team USA. 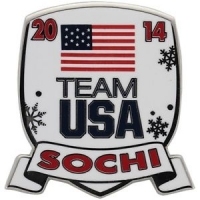 Eleven Illinois athletes are in Sochi as part of the U.S. Olympic Team. Illinois’ Team USA athletes include both past Olympic medalists and those competing at the Olympics for the first time. They are Megan Bozek (hockey), Jason Brown (figure skating), Kendall Coyne (hockey), Shani Davis (speed skating), Aja Evans (bobsled), Gracie Gold (figure skating), Brian Hansen (speed skating) Jonathan Kuck (speed skating), Emery Lehman (speed skating), Patrick Meek (speed skating), and Ann Swisshelm (curling). To learn more about our Illinois Olympic competitors visit www.illinois.gov/olympics.